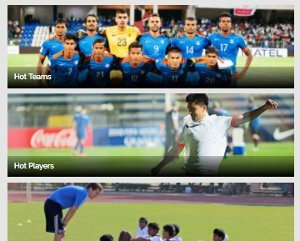 Shillong Lajong FC have had their fair share of decent I-League starts in the past. However, the Reds’ run of luck seems to be gone as the Shillong-based I-League outfit lost two back-to-back matches in their I-League opening fixtures. Head Coach Thangboi Singto feels that the loss against Mohun Bagan was jarring for the Lajong players, considering the fact they were defeated by Bengaluru FC in the previous week. “Losing 2-0 was a bit harsh on the players today I think,” said Singto in the post-match conference in Kolkata. The Shillong Head Coach was asked if he was content with the refereeing in their fixture against Mohun Bagan when he chose to answer the question diplomatically, “I was happy with the chances we created. We did not create many chances against Bengaluru FC.” “I think we played better today,” Singto further added. The Reds’ Head Coach also revealed that he thinks that the visiting team started the second half well compared to the first half. 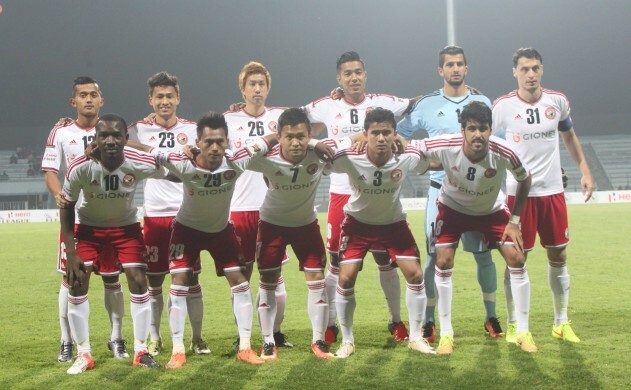 “We started the second half better,” said the Lajong coach. “If we had not conceded the second goal, we probably would have got much better (results),” he further added. 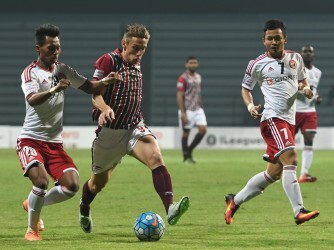 Singto praised his players’ efforts in the match but also hinted that he thinks Lajong lost because of the individual brilliance of Mohun Bagan’s star forward Darryl Duffy. “He’s got two goals today right? Credit to him but we should have done better,” said the 42-year old coach. 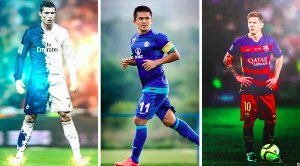 Singto was asked for his assessment over two of this year’s I-League favorites, Bengaluru FC and Mohun Bagan, both of whom Lajong have played till now. “Both are good teams, we lost against them,” answered the Lajong coach in a heartbeat. However, he again reminded that with an inexperienced team at his disposal, Lajong’s primary aim stays put, which is to improve. With their second successive defeat in this season’s I-League, Shillong Lajong are currently bottom of the standings.